The Lusty Lloyd Loom Model 328, with a fitted cushion and grander presence, is a large and substantial chair. Ideally suited to the living room or conservatory, it is said to have ´newspaper arms´, which slope down gently allowing you to rest your arms whilst turning the pages of a paper. 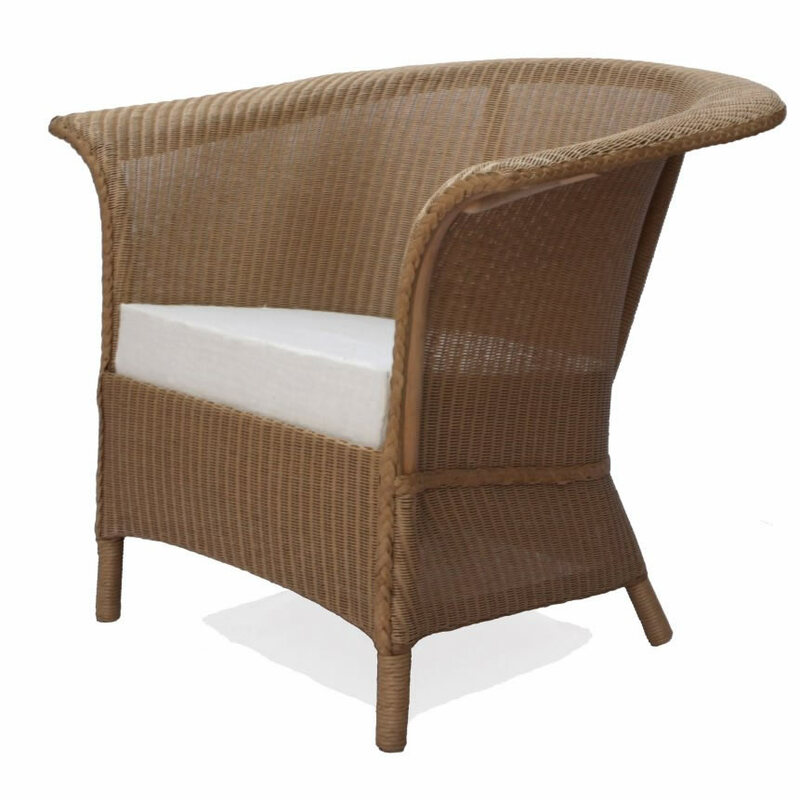 This is an impressive colonial style armchair with fewer frills than the wicker alternatives.